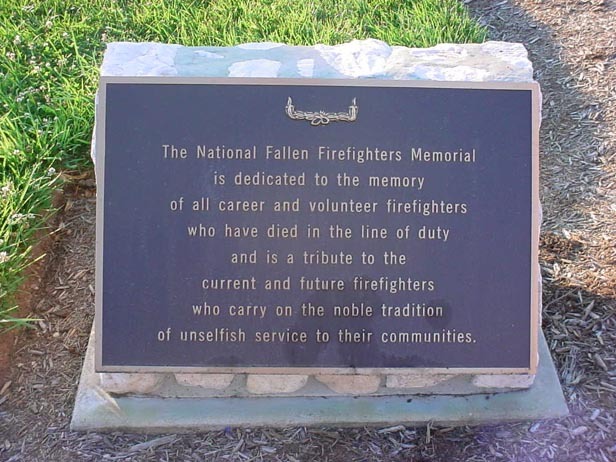 Keith Hess, a volunteer Shippensburg firefighter who died in the line of duty on Jan. 20, was recognized Saturday at the National Fire Academy in Emmittsburg, Md. 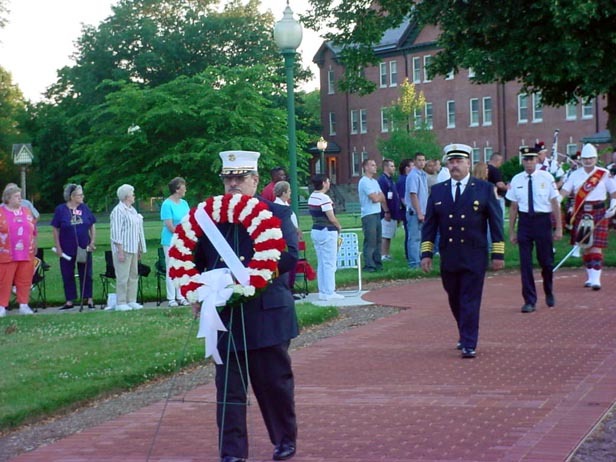 A Pennsylvania weekend memorial service was held for volunteer or paid firefighters who died in the line of duty in Pennsylvania. 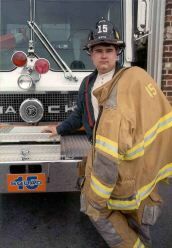 Hess was a volunteer firefighter with West End Fire and Rescue and a paid firefighter-emergency medical technician with Fannett Metal Fire Department. He died while battling a house fire in the village of Blairs Mills in Huntingdon County. Local attendees at the memorial service included about 20 WEFR members, the Hess family and their friends, and members of other Shippensburg fire departments and Franklin Fire Company of Chambersburg. 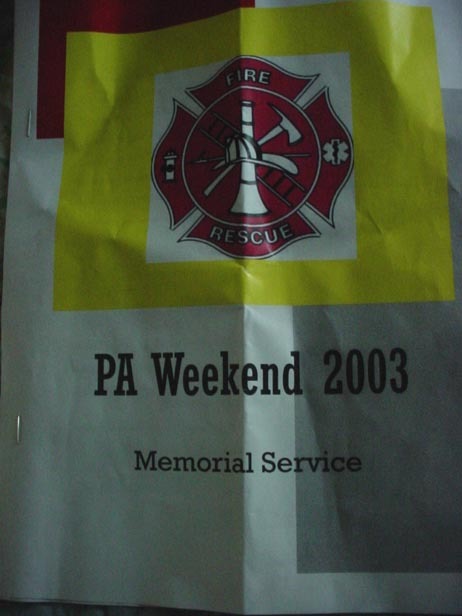 The program theme was "Pennsylvania Weekend Firefighters' Memorial Service." 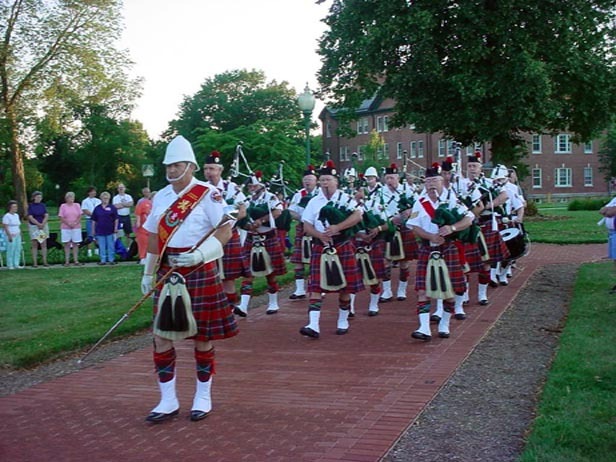 The program began with a procession of flags and honor guard, followed by the Highlanders playing bagpipes. The Pledge of Allegiance and reading of the Fireman's Prayer followed Rickenbach's welcoming comments. Tears flowed as Ed Mann, the state fire commissioner, read a poem. 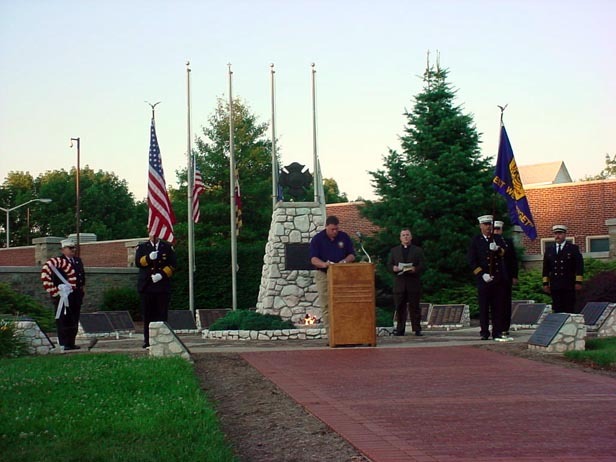 WEFR fire department members, dressed as a group in blue uniforms, and the Hess family were given special recognition by speaker Gary Rickenbach. 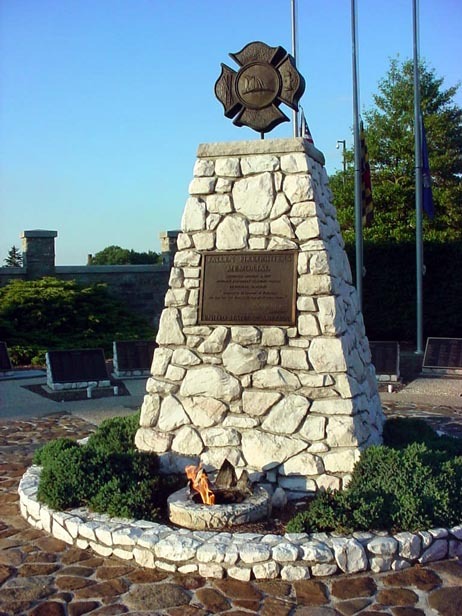 After the memorial wreath was placed on the left side of the firefighters memorial monument, Rickenbach asked that a WEFR representative place their company's wreath on the monument. Chrissy Hoover, sister of the late Keith Hess, and Deanna Rohr, a family friend, placed a wreath on the opposite side of the monument. 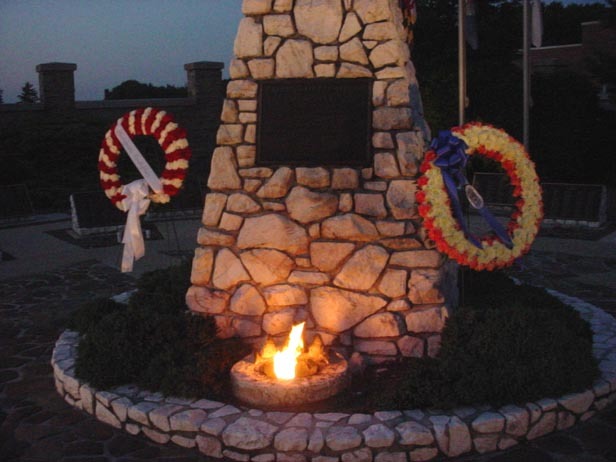 A flame at ground level illuminated the two wreaths. 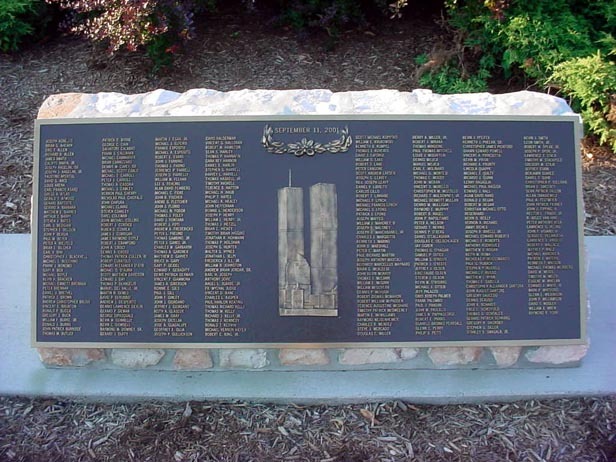 The names of 10 individuals who died since July 2002 were read during the memorial service, with the tolling of a bell after each name. Bells tolled on a final call prior to the closing moments of the program. 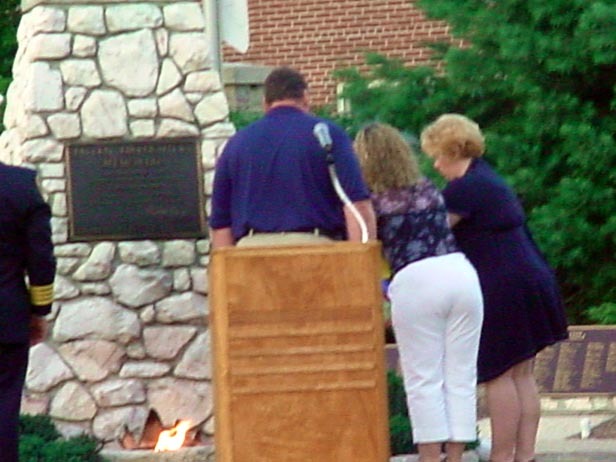 Hess will be recognized at the National Memorial Service in October 2004.